Although two people must agree to get married, only one spouse has to decide they want a divorce. The person who chooses to separate must file a petition and serve it on their partner. However, if the served individual cannot be found or doesn’t respond within the time limits required by state law, the petitioning spouse may be granted a default judgment to finalize the separation. According to the divorce attorneys at Bellotti Law Group, PC, in Boston, MA, though this may seem like an easy way to terminate a marriage, it can actually turn out to be less than ideal for both parties involved. Below, they discuss why it’s best to avoid going this route if possible. 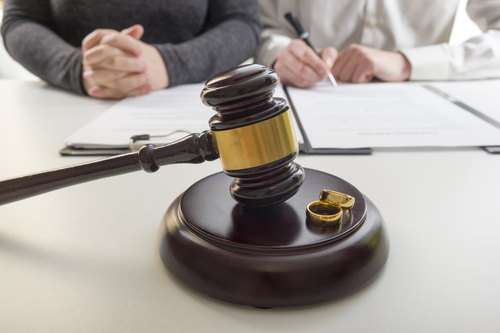 When a petitioning spouse is awarded a default judgment, they will also typically receive a favorable ruling on all the terms they seek in the divorce settlement. In some instances, the other partner may decide simply not to bother responding to a petition if they feel there’s no reason to dispute any issues within the settlement. However, the petitioner may submit a judgment to the court that is completely different from what their ex expected. In turn, being found in default will result in a loss of rights and can prevent the non-petitioning spouse from effectively arguing issues in the future. As such, it’s advisable to always enlist a divorce attorney when responding to a petition. While it may appear that the petitioning spouse will come out victorious in a default judgment situation, this isn’t always the case. Even after someone is declared to be in default, they can often still request that the court set aside the judgment. If granted, this will start the divorce process all over again, costing the petitioning partner a great deal of extra time and money. Also, there are often certain provisions that a default judgment can’t contain as opposed to a routine divorce, including the right to change one’s name, bar spousal support, and mutually release claims to prevent either party from suing the other for events that occurred while married. If you are trying to steer clear of a default judgment, it’s in your best interest to consult an experienced divorce attorney right away. The legal team at Bellotti Law Group, PC, has an established reputation for helping clients successfully navigate complex divorce cases, including those that involve default issues, by offering quality legal counsel and representation. Call (617) 778-1000 to schedule a consultation and discuss your situation, or visit their website for additional information about their family law expertise.